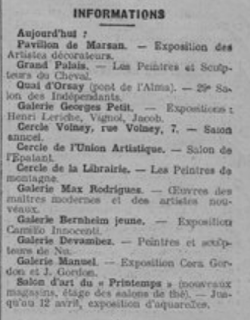 L'Homme Libre (18th July 1913) contains a note from Henri Manuel about a Paris exhibition by Jan and Cora Gordon which had opened on the 28th of March, 1913. 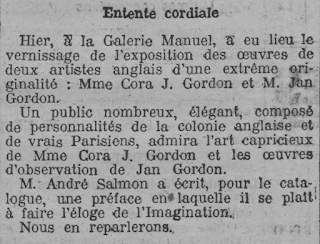 The show is discussed in Comoedia (26th March 1913), though they mistake the nationality of the Gordons as American and Jan becomes "Jean"! 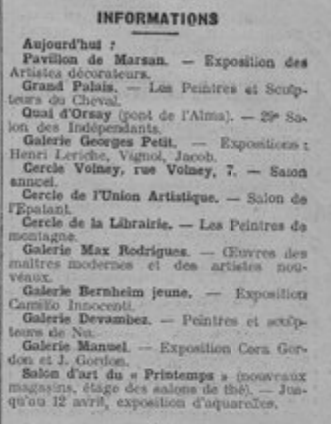 "Une centaine d'oeuvres seront exposées a partir du 28 Mars à la Galerie Henri Manuel, 27, rue du Faubourg Montmartre. 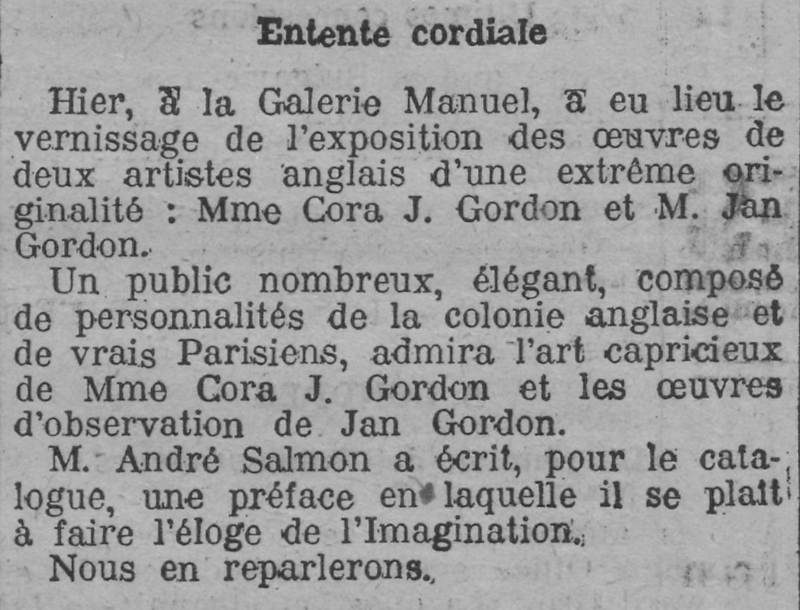 Ce sont les œuvres de deux artistes américains de grand talent: M. Jean Gordon et Miss Cora Gordon"
Gil Blas (29th March 2013) carried the following comment under the header "Entente cordiale." The Gordons are correctly recognised as English and their originality is praised. A good crowd of elegant English and French personalities attended the opening. 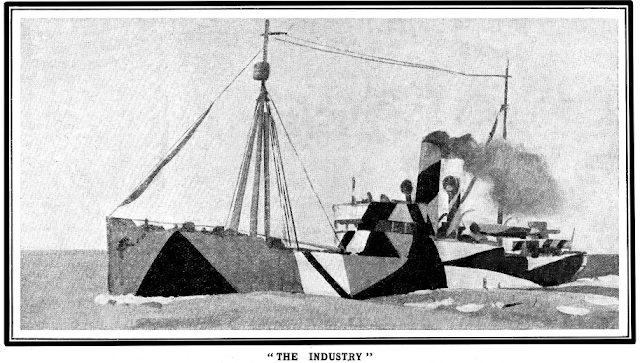 André Salmon had written a preface in the catalogue. A promise to discuss the exhibition further is given (see below). Gil Blas (Sunday13th April 2013) carried the hugely enthusiastic review of the show by André Salmon under his pen-name "La Palette." Of Cora Gordon's works, he writes that they are less reminiscences of One Thousand and One Nights or A Midsummer's Night Dream than they are illustrations of beautiful poems yet to be written. She dares to rejuvenate eternal themes! The tone of the review correlates well with Jan Gordon's observation that, "He had invented a form of poetic criticism, full of intricate simile, double-jointed allusions, and flamboyant imagery, which had the merit of being quite incomprehensible, although it sounded like the most tremendous sense. 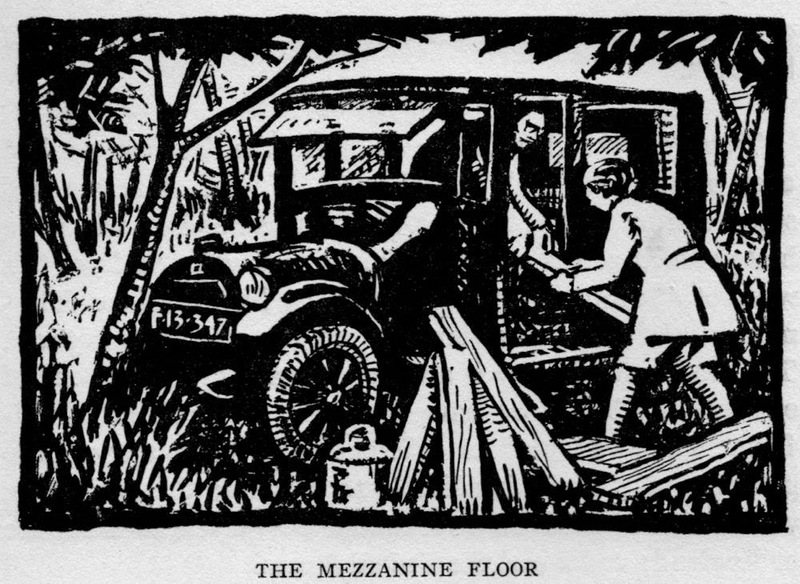 His prefaces to catalogues were becoming highly appreciated, for they left the reader feeling overawed but somehow unintelligent, which was undoubtedly the most profitable frame of mind for the dealer or artist." (Jan Gordon, "Gradus ad.. 1929). The Gordons would be back at this gallery in December of the same year, once again to positive reviews.